Molecular imaging refers to the use of targeted imaging agents to detect molecular and cellular processes in the body. Some of these processes are associated with highly expressed targets, which can be imaged with only slight modifications to conventional small gadolinium chelates. However, many biological processes of interest occur in the low nanomolar range and require larger constructs with higher sensitivity to be developed. 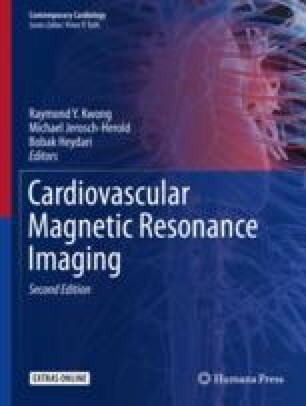 A large number of probes have been developed for preclinical imaging, targeting processes in both the vessel wall and myocardium. Several of these probes have been used in the clinical setting too, with excellent results and no adverse effects. The development of 19F (fluorine)-based imaging agents and integrated positron emission tomography magnetic resonance (PET-MR) scanners offers further opportunities. While the clinical translation of radiolabeled probes is in some ways easier, molecular MR agents have several conceptual advantages and could play an important role in the development of personalized therapies for cardiovascular disease.